Honor Holmes Garden Design offers a personalised garden design service. 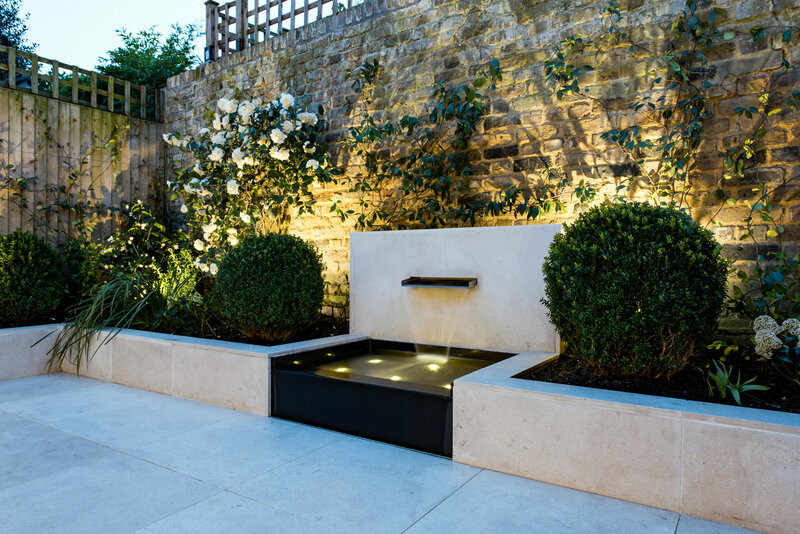 With an imaginative use of design and with emphasis on detailing, Honor works closely with each client to create unique and beautiful modern gardens and roof terraces ranging from the contemporary chic to the architecturally traditional that will bring an inspirational element to the home throughout the seasons. Alternatively, variety and adventure can be created with an entirely different culture such as a Japanese, Moroccan or Mexican style garden. The South West London based practice strives to specialise in turning small neglected urban gardens into mini paradises. A well designed and built garden is a long-term investment that adds value to your property, and getting professional advice will save you time and money. Garden Design - scaled drawing of the proposed layout for your garden or roof terrace showing areas of hard landscaping, planting and features. This is shown on 3D CAD views of your garden from different angles.